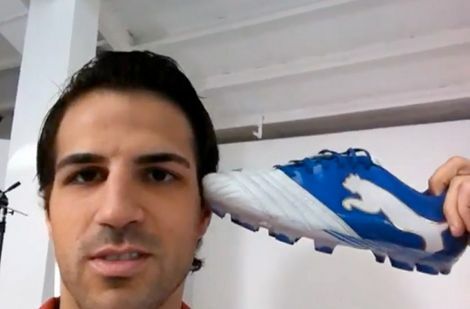 Cesc Fabregas took to his Twitter account tonight to officially out himself as having made the switch to Puma football boots, and gave fans a sneak peak at Puma’s latest cleats in the process! The Spanish international has undergone his second big move of the summer, after leaving Arsenal for Barcelona, signing on the dotted line for Puma football boots in a new long-term agreement. The midfield maestro has been the face of the Nike CTR360 in the UK since their inception in 2009, but now looks set to become one of the leading lights in Puma’s rapidly-expanding stable of stars. Fabregas filmed himself at a Puma photoshoot on Thursday, having played his last game in Nike on Thursday night, rifling through some Puma product and confirm that the rumours of a switch to the German brand were true. In either an unlikely slip-up from Puma or a genius piece of marketing, Cesc produced a pair of the new Puma PowerCat 1.12‘s from the shoot to show off for the camera. Looking stunning in Royal/Blue white, the latest Puma football boots look far sleeker and suitably handsome than their previous incarnation. Visible on the instep of the Puma PowerCat 1.12 are the new pods that make up the latest incarnation of the 3D Power Shooting Technology, though they are far lower-profile than the shark-gill inspired ridges of their predecessor. All-in-all the soft leather in the forefoot and refined silhouette remind us of the transition that the Predator like have made recently into a hybrid ‘control’ style of football boots, and with Fabregas at the helm we certainly feel Puma could be taking their fledging PowerCat silo in a similar direction. 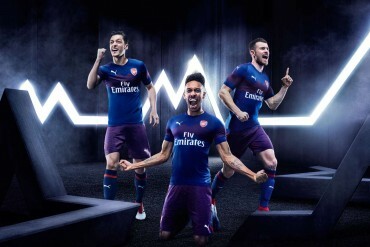 Puma have been on a summer spending spree comparable to the biggest of top-level clubs this summer, wrapping up deals with Sergio Aguero, Thierry Henry, Steven Pienaar, Radamel Falcao and Mikel Arteta in the last 10 months, and completely redefining the brand in the eyes of football brands everywhere. What’s next for Puma and Fabregas? 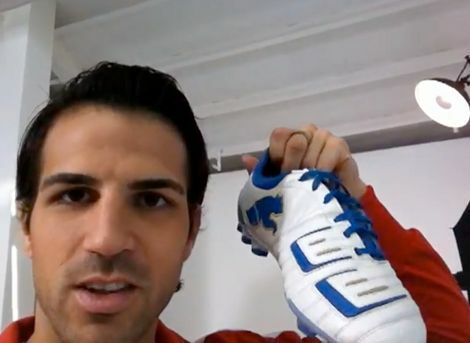 Is there any stopping the German brand with Cesc on board? Special thanks to everyone who hit us up on Facebook Twitter and email about Cesc’s video – especially Max T & Matt M (Croatia) Big love to you guys! I’m surprised that he jumped over to Puma.Â They must’ve thrown a lot of cash at him. good move for puma. not just about signing fabregas, since they last promote their brand mostly in africa, and now they are expanding in europe. 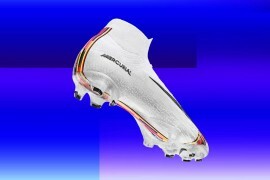 the reason players signed for them could not have been the cash incentives alone since they were already paid handsomely with their previous boots brand. it could be something off the field that puma is trying to promote but with the help of these new guys. Looks like Puma is investing big this season and Fabregas signing confirms that. 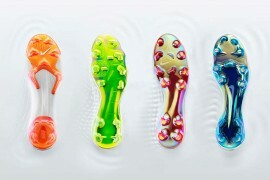 Nike is loosing ground on the football boots realm year on year if it doesn’t do anything soon it will be left behind. fabregras, kun aguero, and thierry sign for puma? puma definitely has the right motive! I hate Puma boots. They are so ugly!